We offer the top rated sailing tours in Puerto Vallarta because our attention to details and our warm and friendly service is unparalleled. The stunning beauty of the Banderas Bay and the fun activities found on our sailing charters will provide you and your loved ones with a wonderful experience that will stay with you forever. 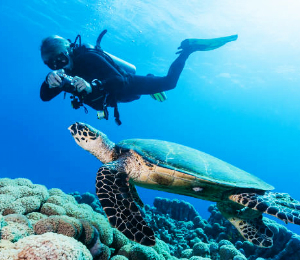 Enjoy a relaxing and fun-filled day of sailing, snorkeling, beaching, and bird watching with our Marietas Islands Sailing and Snorkeling excursion. This excursion takes you out on a majestic sailboat ride through the calm blue waters of the Banderas Bay and out to the natural wildlife preserve known as the Marietas Islands. Sail south from Puerto Vallarta into the Banderas Bay aboard the Elias Mann, a charming sixty-eight-foot sailboat. 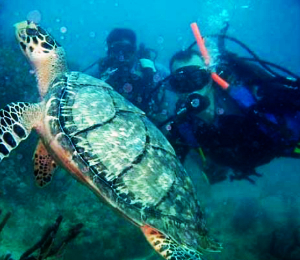 Experience an enjoyable half-day of snorkeling and sight-seeing near the breathtaking granite formations at Los Arcos. 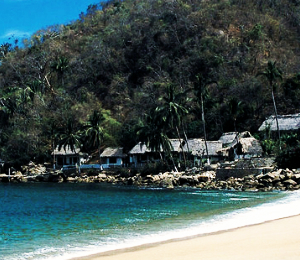 Discover the remote coastal fishing village of Yelapa. This quaint hamlet, situated on the south side of Banderas Bay, can only be reached via boat. Snorkel is crystal-clear waters and hike to jungle waterfalls. This tour offers everything you need for the perfect Puerto Vallarta sunset - a luxurious sailboat, plenty of seating and lounging areas, a dedicated crew, a full open bar, and snacks. Whether you are celebrating a special event or simply wanting to enjoy a relaxing and idyllic night out at sea, the Vallarta Luxury Sunset sailing cruise will be the perfect setting! 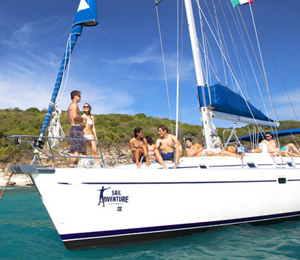 Learn the basics of sailing on this one-of-a-kind Puerto Vallarta sailing experience! This tour focuses on the incomparable experience of sailing, combined with some of Vallarta's most well-loved daytime activities including snorkeling, swimming, and paddle boarding. If you love being out on the open sea, taking in the salty sea air and feeling the sea breeze on your face, then there is no better type of boating experience than sailing. 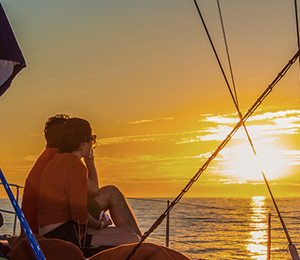 With the Luxury Day Sailing tour, we take Puerto Vallarta sailing to the next level. Need help booking your tour? Our professional and local staff is here to help. Contact a Best On Puerto Vallarta representative by calling 888-558-3330 or click the live chat button at the bottom.